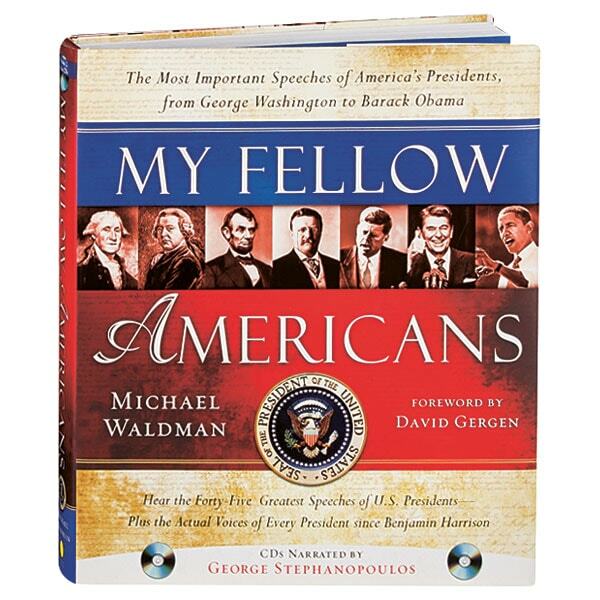 This album from former presidential speech writer Michael Waldman is a remarkable treasury of 45 of the greatest speeches ever given by American presidents, accompanied by recordings on two audio CDs. Here are the voices of every president since Benjamin Harrison, as well as readings of speeches from George Washington, Thomas Jefferson, Andrew Jackson, and Abraham Lincoln (with recorded notes by an eyewitness to the Gettysburg Address). 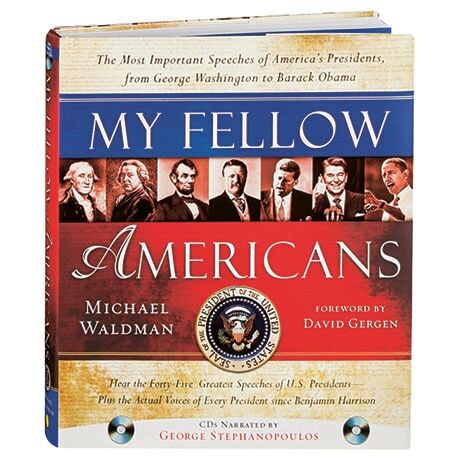 In the book itself, Waldman introduces each speech, placing it in the contexts of both the president's administration and the historical moment, then provides the complete text. Here too are rare archival photographs, illustrations, and documents with handwritten notes.